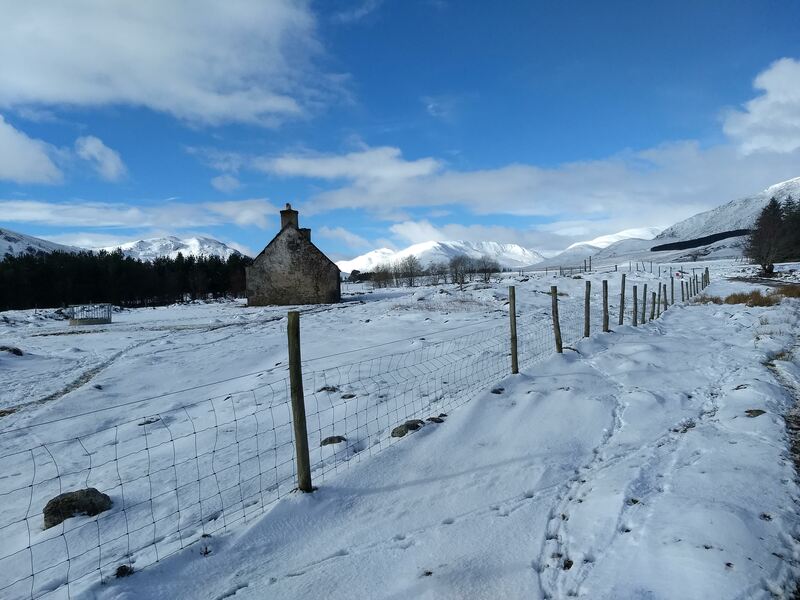 For this year’s winter weekend, the club ventured up to Newtonmore for a stay at the Newtonmore hostel. 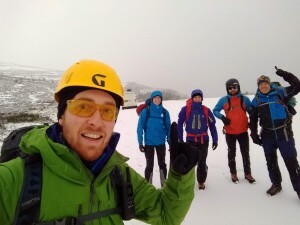 On Friday evening discussions lead teams to choose routes that considered all the possible hazards associated with Scottish winter climbing. 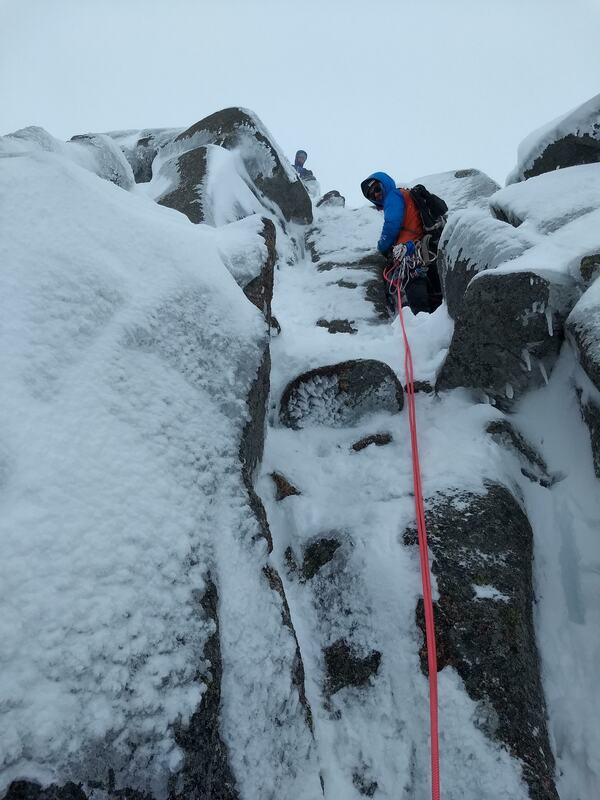 On Saturday morning, one team (John M, Andrew M, Antoine M, Steve M and Gary T) went to try Creagan Cha-No hoping for consolidated snow, while a second team (Dave C, Dave M and Nick O) went out to Lurcher’s crag, hoping for some ice. The Cha-No team started from the Coire na Ciste car park and eventually found the crag buried with new snow and well-corniced. They decided to abseil down off a block at the top of Jenga Buttress just north of the recommended gully abseil. 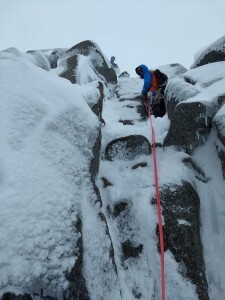 Team John/Steve/Gary set off left of Jenga Buttress on the route ‘Grandee Grooves’. 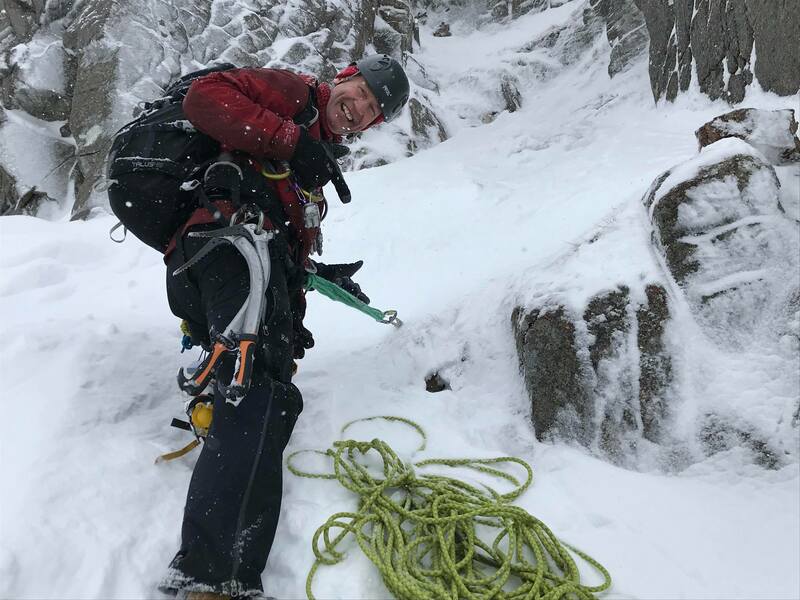 Team Antoine/Andrew went up ‘Jenga Buttress Direct’, taking the chockstone chimney up to meet the ‘Jenga Buttress’ original route. This great day with reasonable snow and ice conditions ended with a well-deserved pub meal watching the exciting England vs. Scotland Rugby international (sorry Antoine, it wasn’t France’s year). John can't resist swimming in the new snow! On the last day, one team (Dave C/Dave M) stayed an extra day to head out to Sneachda while John, Andrew, Antoine and Gary headed for a walk towards Carn Dearg. There was some beautiful sunshine followed by sideways wind and sleet, and a (not so nice) stopover at a sheep’s bothy to quickly change gloves. 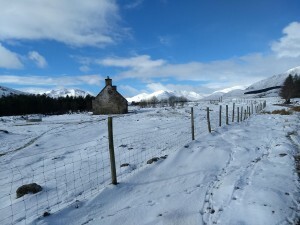 Despite not making it up the munro, there were some beautiful, snowy views. All in all, another great winter weekend in the books.